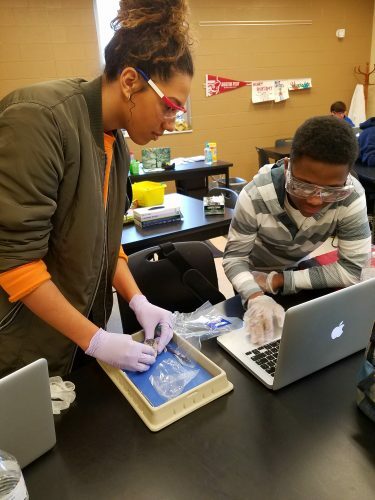 In Honors Anatomy and Physiology students are learning about vision. They dissected a sheep eye. 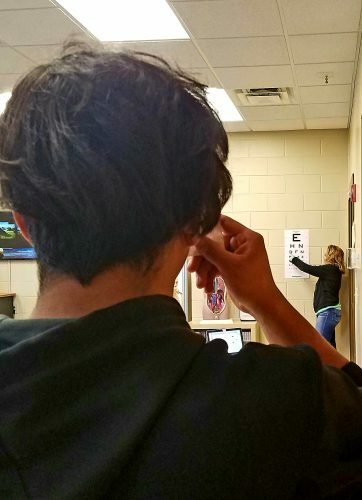 Students then assessed their own visual acuity, visual map, blind spot, peripheral vision, and astigmatism in a series of activities. Help Gospel For Asia with Biosand Filter, Chicken, Rabbits, Fishing Nets, Mosquito Nets, Gospel & VBS Tracks, help the Smile Train with matching gift -2 cleft surgeries, provide the Salvation Army-Five baskets of food, personal items, laundry detergents, coats, gloves, etc., provide a Donation of $100.00 to missionaries Jeff and Mary Beth Meyer in Mexico, purchase a Christmas Gift for Rhyan Loos in the New York Sloan Kettering Children’s Hospital make a Donation of $100.00 to Manna Café, make a Donation of $45.00 to the Ronald McDonald House Charities in Nashville, and make a Donation of $50.00 to St. Jude Children’s Hospital! Thank you for being a part of touching so many lives…Happy New Year!! FCA meets weekly on Wednesdays at 7:15AM in Coach Williams’ room. We invite all US students to attend.